Are #fat cells simply a storage compartment for our gluttonous behavior? No. “Fat cells are the most important cells in the body. In fact, they are the key reason that we’ve survived. If we didn’t have fat cells, we would probably be extinct,” says Roger H. Unger, M.D., a diabetes researcher at the University of Texas. Fat is much more than an oily storage compartment. “One of the biggest myths is that fat is boring,” says Evan Rosen, M.D., Ph.D., a professor at Harvard Medical School. “We now know that fat is a major endocrine tissue, producing hormones that regulate varied body processes — like insulin sensitivity, thyroid and immune function, clotting, blood pressure, appetite and satiety and many others. This has been one of the great revolutions in physiological thought of the last 10 years,” adds Rosen. While all fat is actually the same, where it is stored makes a difference. There are two types: subcutaneous and intra-abdominal. Subcutaneous fat is stored below the skin (a traditional “pear”-shaped body). Intra-abdominal fat is behind the stomach muscles and around the organs (an “apple”-shaped body). Most women store fat subcutaneously in the breasts, hips, buttocks and thighs, while most men store it in the abdomen, lower back, chest and the nape of the neck. Intra-abdominal fat is considered more dangerous. “All of the potential #health risks — including diabetes, hypertension and heart disease — are related to intra-abdominal fat,” says David Heber, M.D., Ph.D., professor of medicine and director of the UCLA Center for Human Nutrition. Oh, and if you believe you can simply get the fat sucked out using liposuction and instantly improve your health — think again. Research shows that liposuction may take out subcutaneous fat, but it doesn’t remove the dangerous intra-abdominal fat. True or False: We are born with a fixed number of fat cells, and that’s all we’ll ever have. False. According to Rosen, “Standard dogma was that we are born with all the fat cells we’ll ever have. This was probably based on the fact that when early pathologists looked at samples of fat from obese people, they saw bigger, but not more numerous cells.” However, today most experts agree that we can increase the number of fat cells. According to Samuel Klein, M.D., professor of medicine and nutrition at Washington University School of Medicine in St. Louis, the most widely accepted theory is that fat cells grow in size (up to about 1 microgram) and then, at some point, begin to recruit other cells to be converted to fat. Fat also starts to accumulate in organs and other tissues. How many fat cells do we typically have if we are at a healthy weight? What if we’re obese? According to Klein, individuals at healthy weights have about 40 billion fat cells, while the very obese have about 100 billion. And the morbidly obese could have as many as 300 billion. Can you ever get rid of a fat cell once you have it? Yes. You can shrink fat cells by losing weight, and fat cells do die off once they’re not needed as storage depots, although scientists are unsure how long that takes, says Christopher B. Newgard, Ph.D., professor of pharmacology and cancer biology at Duke University Medical Center. However, it’s much easier to add fat cells than to get rid of them, says Klein. Are you at a disadvantage if you have more fat cells than someone else? Maybe. Although it has not been proved scientifically, diabetes researcher Unger says it is plausible that once you lose weight and have “empty” fat cells sitting around, they’re just waiting to be filled up. So once you develop additional fat cells on top of the ones you’ve already been blessed with, they could be increasing your appetite when you start restricting calories too much. Klein, however, feels there is still limited evidence to support the notion that empty fat cells “want” to be filled up. 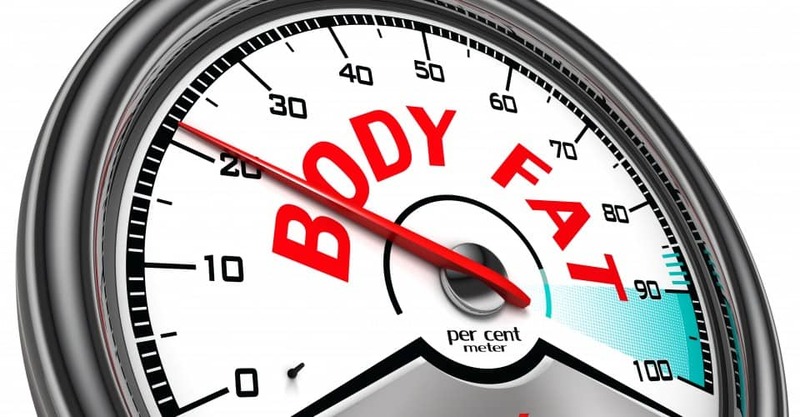 True or False: Our bodies are programmed to defend against losing #body fat. True. Long before we had supermarkets and easy access to highly palatable food on virtually every corner, we were hunters and gatherers. Because food availability was unpredictable, the body had to be prepared for both feast and famine. The more we ate, the more fat we stored, and the better prepared we were for times of famine because each excess pound of fat provided us with additional days of life. In fact, our body typically stores about 150,000 calories at any given time, says Klein. This is what enables us to survive for months with just water. When we go on a #diet, the body’s ancient survival mechanisms kick in, refusing to use up valuable stored fat, making it more difficult to burn calories by lowering our metabolic rate and decreasing our energy level and requirements. The body doesn’t know if it’s being starved voluntarily (to lose weight) or involuntarily (because there’s no food). Fat was a valuable asset, and now it’s become an albatross around our waists. True or False: People who are overweight are more likely to have a slower metabolism. False. “It’s not accurate. In fact, the bigger a person gets, the more calories they burn,” says Klein. Your metabolic rate actually increases as you gain weight — it costs you more energy to move around. The thing is, it doesn’t increase enough to offset the extra calories and prevent weight gain. True or False: If you eat an extra 3,500 calories of food (meaning over and above what you burn in a day), you will immediately gain a pound of fat. Yes, technically, but… “The storage of excess calories depends on the composition of those calories and the time frame,” says William T. Donahoo, M.D., professor of endocrinology at the University of Vermont College of Medicine. Because we eat meals that combine carbs, fats and proteins and are constantly burning calories, it’s hard to say exactly when and how much of the food we eat will end up on our bodies. If the extra 3,500 calories you consumed is all fat, about 75 to 85 percent will end up on your body as fat, says Klein. Some will also end up as lean muscle tissue and an increase in fluid accumulation. About 10 percent of the food is used to actually process the excess calories. 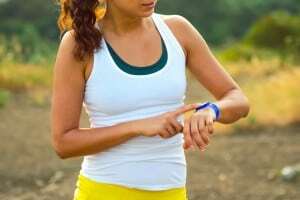 How soon will it show on your body? An all-fat meal (versus all carbs or protein or a combination) is the slowest to be absorbed, taking about four to six hours. Where does the fat go? In a perfect world, the fat cells comprise the bulk of lipid storage — exactly where it’s supposed to go. “However, when you’re constantly overeating, the fat can get stored in places it doesn’t belong, such as the liver and muscles, which can cause disease,” says Philipp E. Scherer, Ph.D., a professor of cell biology at Albert Einstein College of Medicine in New York City. True or False: Muscle turns to fat without exercise. False. Muscle is muscle and fat is fat. You can’t transform one into the other. “Muscle atrophies — that is, gets smaller — and fat accumulates, usually as a result of less activity and the same amount of eating, which might give the appearance that muscle turns to fat,” says John Acquaviva, Ph.D., professor of health and human performance at Roanoke College.